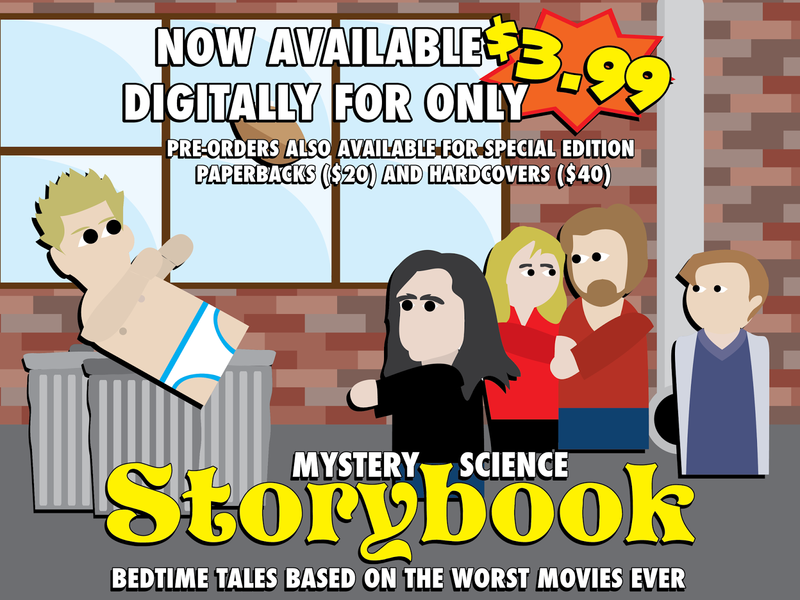 Mystery Science Storybook: Bedtime Tales Based on the Worst Movies Ever! Mystery Science Storybook: Bedtime Tales Based on the Worst Movies Ever is now available for purchase on the Amazon Kindle! ...and at Lulu.com for those without Kindles. Illustrator Sugar Ray Dodge takes the art of movie riffing into new frontiers with this graphic novel taking on some of the worst movies ever. Includes parodies of Manos: The Hands of Fate, Twilight, Harry Potter, Birdemic, Time Chasers, The Final Sacrifice, Cool as Ice, The Guy From Harlem, The Pumaman, Spider-Man, Road House, This Island Earth, Casablanca and The Room. 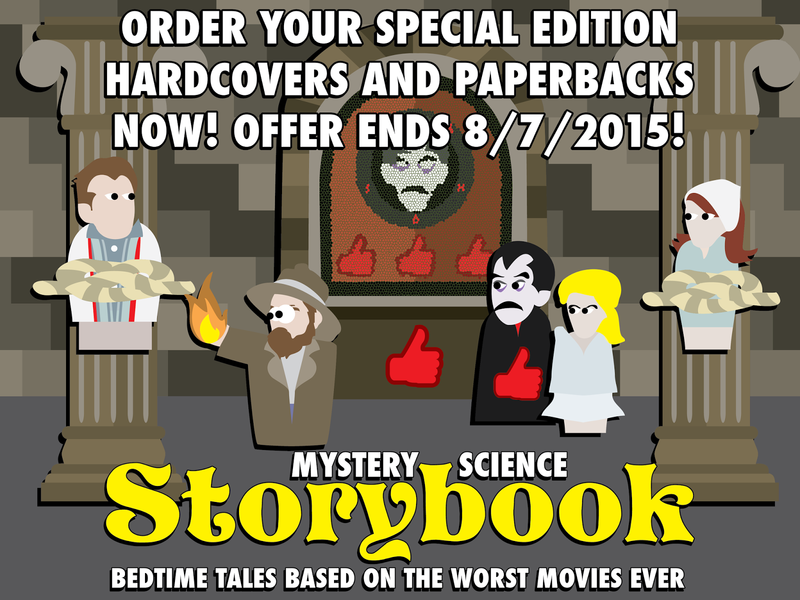 Re: Mystery Science Storybook: Bedtime Tales Based on the Worst Movies Ever! I wanna show some RiffTrax Forum love to you guys, so the next five people who respond to this thread will get a promotional digital copy of the book for free. I just tallied up ALL parodies, references, allusions, and Easter Eggs in Mystery Science Storybook, and this is what the scope of the book as a whole represents. Don't know why I didn't notice. Thanks, Sugar Ray...looking forward to this! That looks pretty damn awesome! It's a testament to how much MST has seeped into becoming something of a cultural heritage. I like that in your book, due to the art style, the birds in Birdemic look normal. SEQUEL! Night of the Living Storybook, Part One. Pre-Order now, delivered automatically on December 3. Featuring parodies of Julie and Jack, Rollergator, House on Haunted Hill, Incognito Cinema Warriors XP, Batman and Robin, and Santa and the Ice Cream Bunny.